I have never been known to enjoy spending time in a kitchen cooking although I truly appreciate a great meal. When we built this house 20 years ago I tried to convince the builder and my husband to not bother putting in a kitchen. Why spend so much money on a room for brewing coffee and eating take-out? Unfortunately I was convinced to add the kitchen because of resale value. Now I’m actually a pretty good cook and I have some recipes that are family favorites that I hope to share with you. I feel great when friends compliment me on meals or ask for copies of my recipes. It’s just that I always consider a successful meal one where the smoke alarm doesn’t start bleating and I don’t end up at the emergency room in need of stitches. I also have so many interests such as sewing, painting, crafts, reading, photography, gardening, jewelry making, that I get caught up in those things and find that dropping what I’m working on to put together a regularly scheduled meal is just boring and an interruption. It’s usually too late to make anything exciting. I never have enough or the right ingredients on hand due to poor or no planning on my part. And so, I pull out whatever happens to be in the fridge just to get it over with. Or even better! Restaurants!!! I’m a huge fan of restaurants both to sit down and enjoy a great meal or take-out. It helps out the local economy, cuts down on your electric bill since you’re not using that energy sucking stove or dishwasher, and let’s face it, they’re experts – that’s why they were invented. I am very lucky that for years my daughter was perfectly happy with mac & cheese out of a box and my husband having spent a few years in the army can actually eat just about anything as long as it resembles meat and potatoes and doesn’t look like a vegetable. I got bagged one day by my mother who used to babysit my daughter who was 4 years old at the time. I guess I might have been stretching the restaurant thing a bit too far because my mother asked me if we’d been eating out a lot lately. (We had just moved in to our new home so of course the kitchen wasn’t broken in yet and we were still checking out the local restaurants to see what was available). When I asked Mom why she would ask such a thing, she told me that at lunch, she made Niki some very tasty homemade chicken wings only to be told by my daughter when her plate was placed in front of her “That’s not what I ordered Grammie!”. I decided it might be a good idea to plan some meals and make use of the kitchen but my heart was never really in it. There were some good meals, occasionally a great meal, and of course some meals that no one really wanted a repeat of. 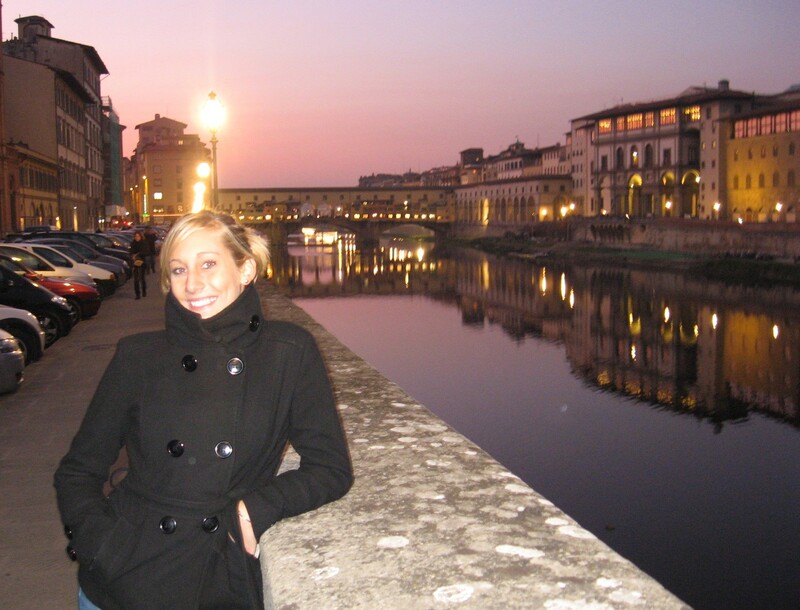 But then my daughter went to study abroad in Florence, Italy and took additional side trips throughout Italy and Europe. She took some breathtaking photographs many which include photos of restaurants, small food shops, and farmers markets. 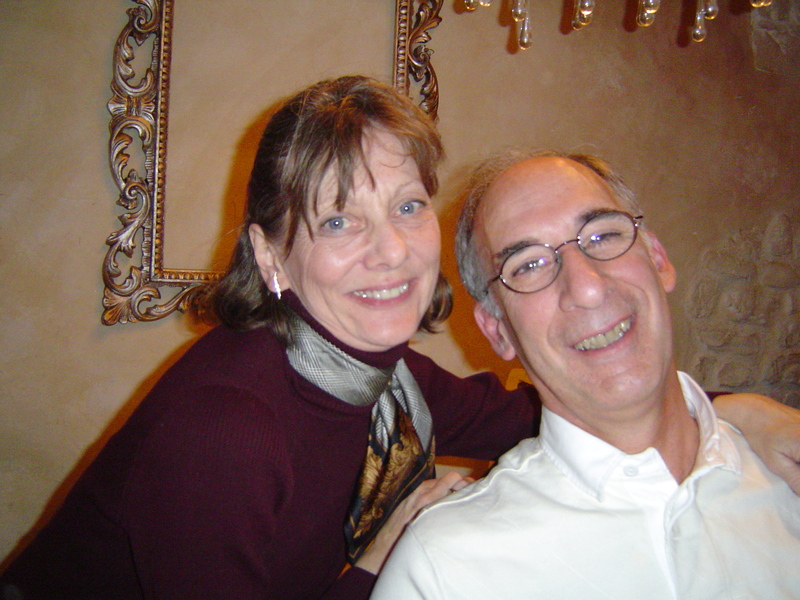 My husband and I were thrilled to visit her and had the chance to explore Rome, Florence, Siena, and Venice. Of course the meals in Italy were inspirational, especially accompanied by the local wines. And so, you see that it all ties together. If you read my post “My Daughter Returns Home” you will better understand how an inspirational trip to Italy, hundreds of beautiful photographs, and a daughter who asks for recipes brought me into the kitchen. I actually am enjoying cooking when I have the time and hope to share my recipes with you as well as many of the memorable photos taken by Niki. And if my daughter can spare a few minutes, I hope to co-author this blog with Niki since she’s a lot more creative than I am. Also, since I’m now spending a lot more time in “the spare room” and it is about 20 years old, I am ready to embark on a kitchen re-do which I hope to post updates on once I actually get started. 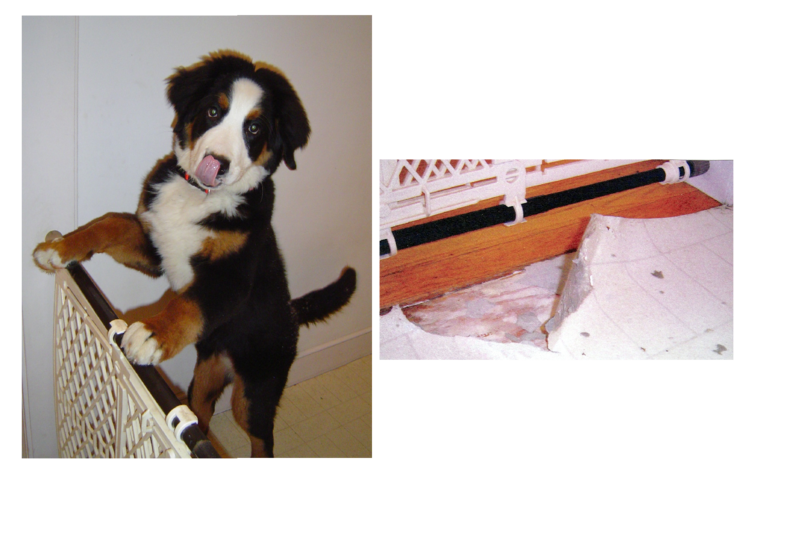 The new tile floor will be first to replace the old vinyl due to a mishap a few years ago when Lola, our Bernese Mountain Dog decided that vinyl made a great snack & ate the floor. And yes, I will definitely be writing about Lola who’s name comes from the song in Damn Yankees, “Whatever Lola wants, Lola gets”. There will be many Lola stories and special cooking instructions with my recipes that includes cooking around a “plus size” dog. Hi Diane! Well I have to say I love your new site and I love your new kitchen. Miss you guys! Say, thanks Gina. Miss you too. Hope you try some of the recipes, especially that chicken with marscapone sauce – definitely a winner. If you click in the black bar at the top where it says -unfollow & change that to +follow, you’ll get the latest updates automatically. Coming next is the winner for Recipe of the Year. Please pass on to friends & relatives, I’d love to get feedback. Oh my goodness, that is such a nice thing for you to do & thank you! I saw the shout out you gave me & can’t tell you how much I appreciate that. I just started blogging and am still feeling my way around but I love reading blogs like yours where you can feel the personality of the person. Plus, I figure if I’m reading & writing blogs that keeps me out of the kitchen for a good part of the day so I’m safe for a while. I’m still trying to picture an artichoke as a weapon though. Do you read Janet Evanovitch? In one of her books a couple of her friends come up with a “spud gun” Depending on how you feel about who you’re shooting at you us either a full baked, half baked or unbaked potato… It involves a plastic pipe(diameter of a potato), hairspray & a lighter…sort of like a cannon. Yes, that would be Stephanie Plum & I haven’t missed one of her books since she started. I love how her father just keeps shoveling food in his mouth, muttering as the Sunday turkey gets shot or Grandma Mazur comes out with her brain burps. Thank you Megan & Lola can be adorable… most of the time. I’m having fun exploring your blog site too! Wow, the introduction to your blog sounds very familiar. My son is only 3 and has a limited menu – peanut butter & jelly, quesadillas and on occasion mac & cheese from the box (I buy it organic at least). I’ve only been cooking “for real” this year. I’m really enjoying it and so is my hubby. I can’t say I’m a great cook but most of what I make comes out really good. And the more dishes I do the more I feel I can get creative. Looking forward to seeing more of your recipes. I started laughing when I read yours – it was like we collaborated. My daughter lived on mac & cheese I think through college. But I had that same experience when I cooked a “real” meal – when everyone just went “omg, this is soooo good”. But then the pressure’s on to do it again. I’ve had some flops w/my experiments though – like the “marinated” mushrooms that I left in balsamic vinegar overnight. A little bit of a “pow” biting into those. Mac & cheese through college? Oh no! Well, my son is apparently growing on peanut butter & jelly and his pediatrician and nutritionist say he’s quite the healthy toddler. My mother would beg to differ. She is always offering him new foods which I appreciate. He sticks to his pb&j though. Funny, I am eating mushrooms as I type. I made a mushroom wine cream sauce for a sausage pasta but not happy with the results … so I won’t be blogging it. 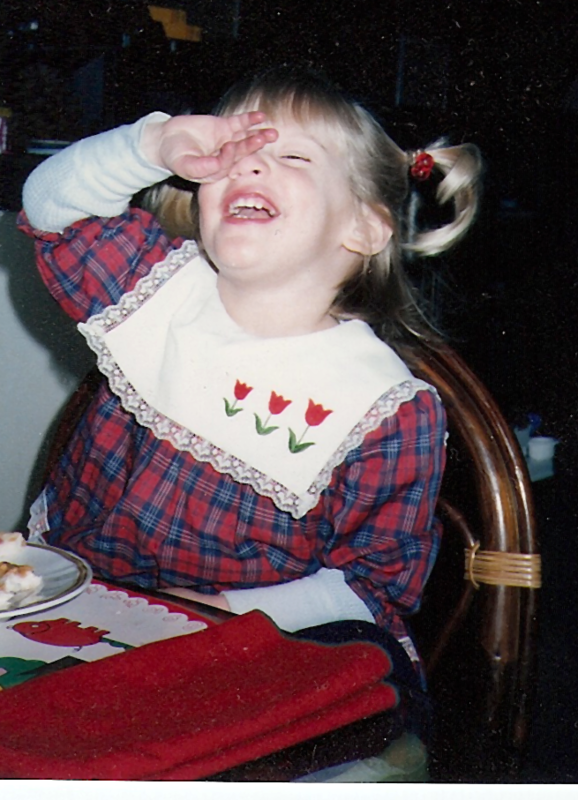 My mother tried to get Niki to eat different things too & once put some buffalo wings down in front of her for lunch. I guess we’d been eating out a lot, but my daughter looked at them & said “but that’s not what I ordered Grammie!”. There’s still lots of nutrition in peanut butter & as for the mac & cheese, well it is cheap so it fits very well w/college budgets. And I thank you for stopping by. I’m just reading your blog now & all I can say is WOW! That lemongrass, ginger & coconut ice cream looks absolutely marvelous. You have some really interesting ideas out there that I have to explore. Great site! I’m having fun reading your posts – the one about what’s in your freezer made me laugh!! Thank you. And I was just traveling around your site. Noticed you too are a migraineur & will have to spend a little time reading about how you cope. I must say that my migraines have vastly improved since I had my sinus surgery. Before that I woke up nearly every morning with a headache. In fact, I would, as a rule, set my alarm 20 minutes early just so I could take a couple Excedrin and lie there until they kicked in enough to take a shower. My surgery was at the end of March and since them I’ve had only 3 migraines. They’ve been doozies, for sure. One I know is hormone related, given the timing, which I try to minimize with progesterone cream, and it does help . I’d love to hear how you cope, too. So glad to hear that the surgery helped you. Mine are definitely weather related & living in New England sure doesn’t make it easy. When it got to the point of having a weekly blockbuster (as in 18-24 hrs vomiting every 2 hrs & 2 days in bed or head to the ER) I was ready to try anything. Just happened that I got a new neuro who suggested trying the Botox injections (3-4 months apart). First 2 weren’t covered by insurance, but for some reason at the beginning of ’11 they started paying!). I can tell you that for me, it’s been as close to a miracle that I’ll ever run across. Not once since the start of the injections have I had the vomit/kill me/take the ice pick out of my right eye ordeals. Headaches that put a dent in my plans yes, but only 3 migraines that I haven’t been able to get out of bed. I would so love to just be free of head pain though. I’m so glad to hear that you’ve found something that helps, even if not 100%. I second your wish to be free of head pain. I’ve had mine since age 8 and nearly 30 years is just enough, thank you. Wishing you the best! We have a couple of things in common. I grew up on cereal and Campbell’s Soup and really found a love for cooking and fresh ingredients when I spent time in Italy after high school and I have a dog named Lola too but my Lola would make a nice little snack for your Lola (she’s a chihuahua) Nice work! Buon appetito! We do have things in common (frankly I still have a bowl of cereal for dinner when I don’t feel like cooking). I loved Italy & really want to go back. Unfortunately my Lola thinks she’s the size of a chihuahua which is why my house is duct taped together. Thank you for stopping by – I love your blog, very beautiful design & graphics. That’s funny- my chihuahua thinks she’s a pit bull! Thanks for the compliments! We have recently started our own blog centered around food, fashion ad lifestyle and were just wondering whether you would be at all interested in following us? We would love toy follow your blog too in return! Hi ! I love your blog and I have nominated you for ‘Blog of the Year 2012’ Award! I am honored for your nominations and appreciate your support. I love your blog – it’s become my go-to for new and inspiring ideas, please keep up the excellent work Vina and congratulations to you for all of your well deserved awards! Diane, congratulations!!! I’ve nominated you for the Reality Blog and Sensual Blogging Awards. Thank you for sharing so much of yourself with all of us! Thank you so much for keeping the creativity flowing on your blog – it’s inspiring to so many & a pleasure to read. I truly appreciate your nomination and will be happy to pass the happiness forward. Oh you made my day, thank you. I don’t know if it’s the lingering winter blues or some kind of bug but I’ve been laying low these past couple of weeks and your lovely comment perked me up. Thank you again, I truly appreciate you. Thank you Koko. I have so many things that I love doing & although I enjoy cooking, I really don’t like doing it when I have to. Seems like at the end of the day, I’m usually standing in the kitchen saying “oh, oh…ran out of time”. You are just too kind – thank you Mandy, I really appreciate you thinking of me. Hello Diane, I just wanted to say hi and check in with you. Thinking of you! Bobbi . Yes Bam’s Kitchen has rebranded. Hi Bobbi! I was just thinking about you and wondering how you and the family were doing. My husband has fully retired now so we’ve been keeping busy doing all those interesting things that we never got around to doing before – and the best is being able to do things during the week when things aren’t crowded. There’s a GREAT place that opened in Boston (a few other locations in major cities) called Eataly. The largest indoor market in the country with everything from Italy. They also have cheese and pasta made on the premises that is just incredible. Also small restaurants and food counters scattered for quick or slow meals. You would love this place. On a sad note though, we had to say goodby to our beautiful Lola who had cancer. We miss her so much but we’re very lucky to have almost 12 years of loyal love from that sweet dog. I’ve just followed your new blog site on FB and will have to see what you’re up to. It sounds like you’ve really been keeping busy and have had great success. Good for you!